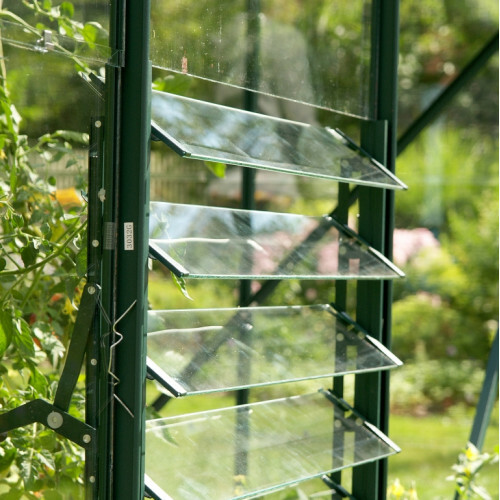 Ventilation in your greenhouse is very important to help prevent plant disease. 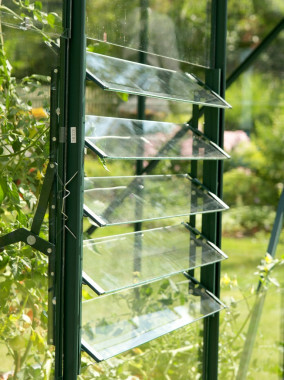 Unwanted air is extracted through ridge vents, allowing fresh air to enter via the five adjustable slats, which ensures draft free ventilation of your plants. *Free Delivery when ordered with a Halls Greenhouse, but delivery is chargeable if ordered on it's own.